Need to add a little Christmas cheer to your desktop or phone? Check out these freebies posted by kind designers around the internets. Above, one of a collection of sweater desktops at The Sweet Escape. 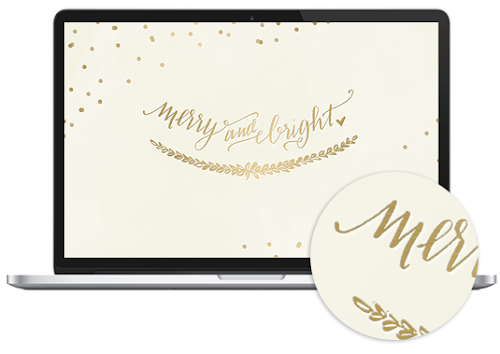 Find several calligraphy backgrounds at Fabulous K (lettering by Heather of Design Roots. 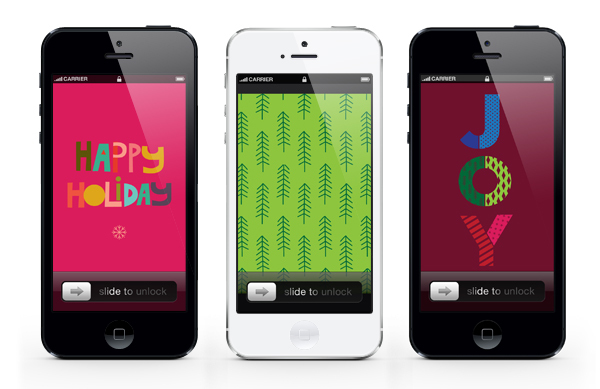 Help yourself to holiday iPhone backgrounds by Heidi Sonnenschein. Well done. Simple and beautiful. Whoa. 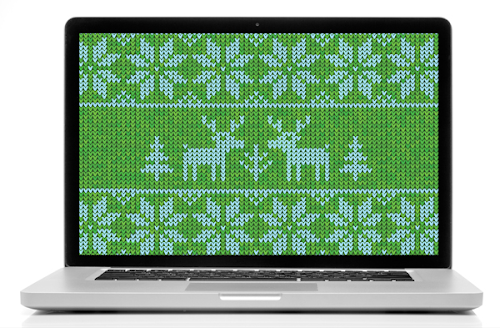 My computer can wear a (not-ugly-at-all) Christmas sweater? Genius. wish the top one was offered a bit bigger. blurry on my screen. my fault for outputting my MBP to a 30" cinema display. These are so great! I just downloaded four of them for my desktops/iPhone screens.